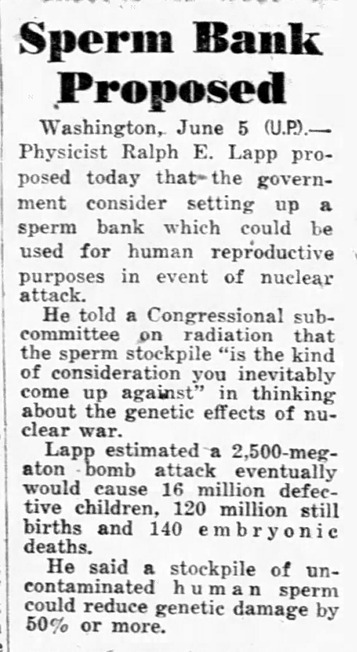 1957: Atomic physicist Ralph Lapp urged that the government should start stockpiling human sperm in lead-lined containers for use following a nuclear war. 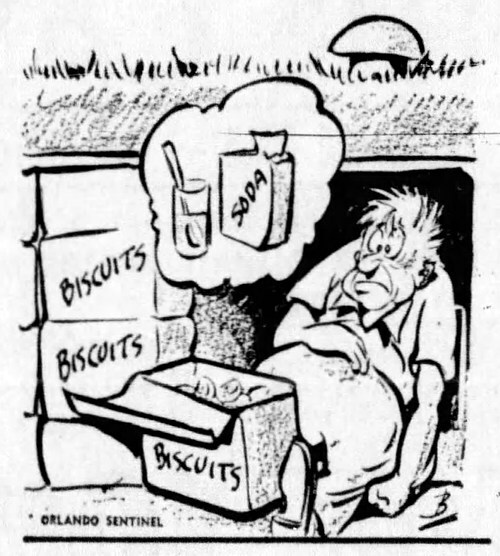 A follow-up to my post yesterday about the invention of 'fallout biscuits' in 1961. 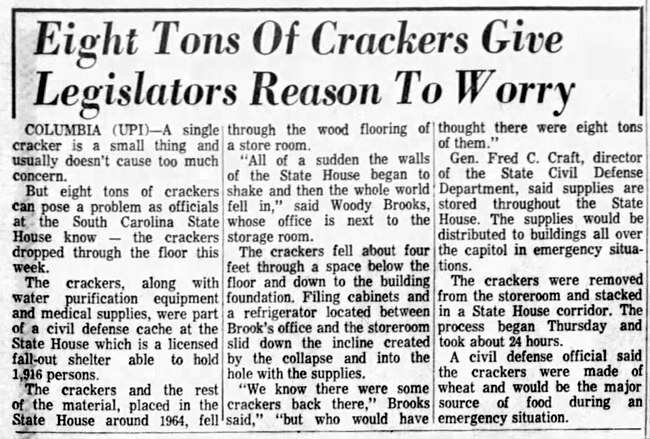 "We know there were some crackers back there," Brooks said, "but who would have thought there were eight tons of them." 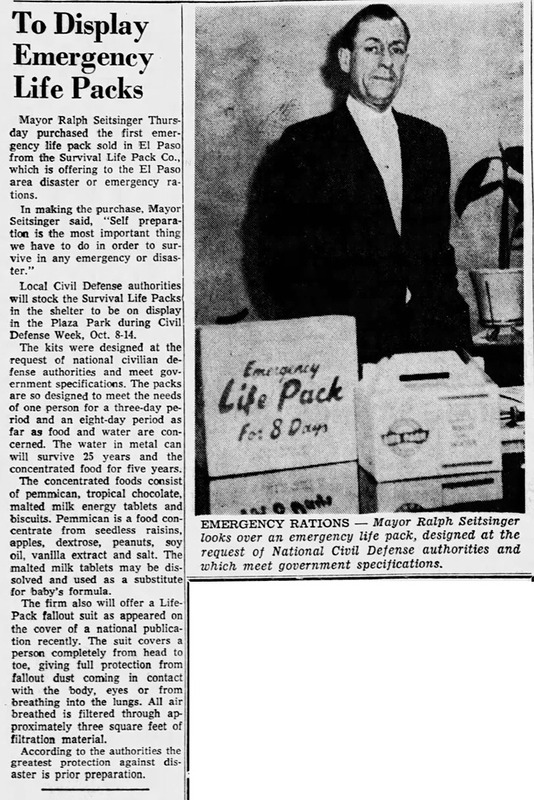 Back in 1961, the U.S. Office of Civil Defense came out with 'fallout biscuits.' 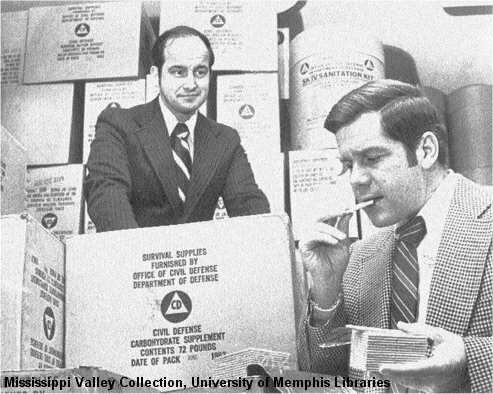 They were vitaminized crackers. 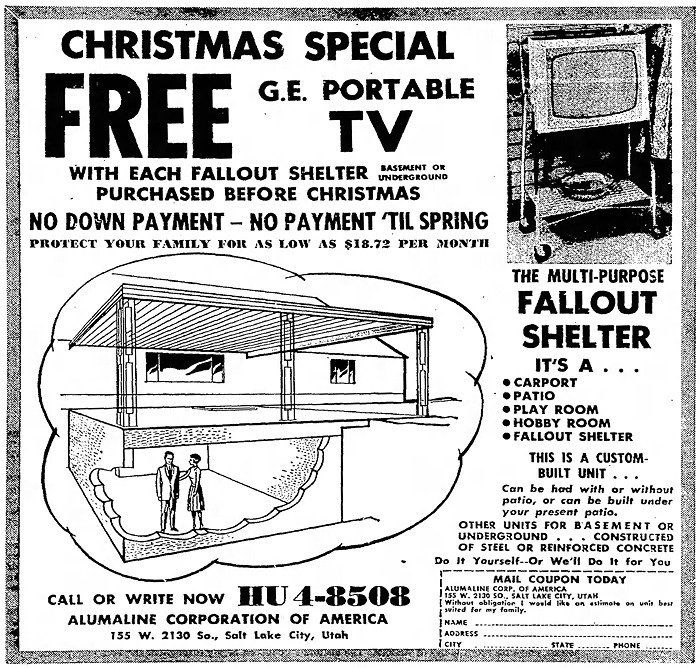 The idea was that people in fallout shelters could live on these for weeks, or even years, if necessary. The biscuits were cheap to make and lasted pretty much forever, so huge quantities were prepared. Fast-forward to the twenty-first century. The various places wheres the biscuits were stored, such as the University of Montana, now faced the problem of how to get rid of the thousands of boxes of these things. 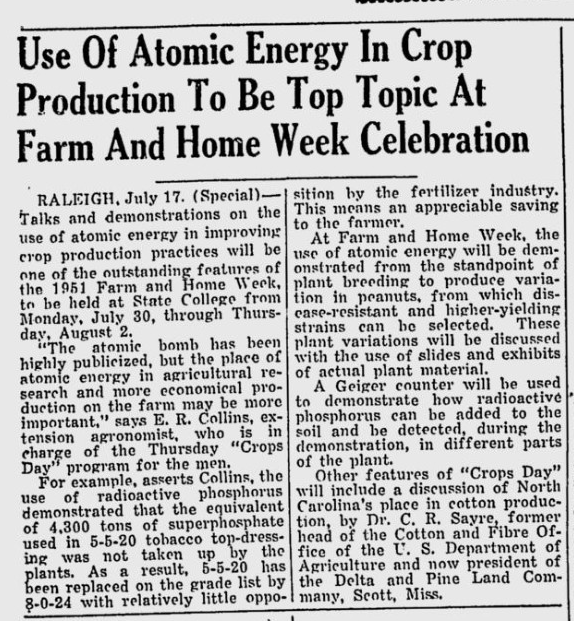 "how the housewife of the future might do her shopping during danger of atomic attack. 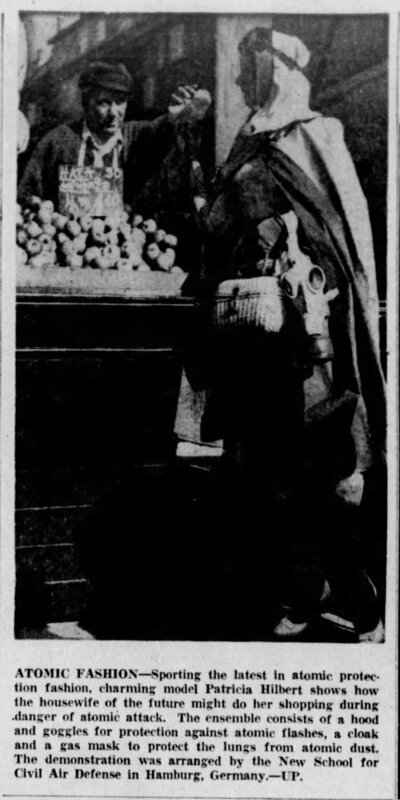 The ensemble consists of a hood and goggles for protection against atomic flashes, a cloak and a gas mask to protect the lungs from atomic dust." Because not even the threat of nuclear war is going to stop the weekly shop! 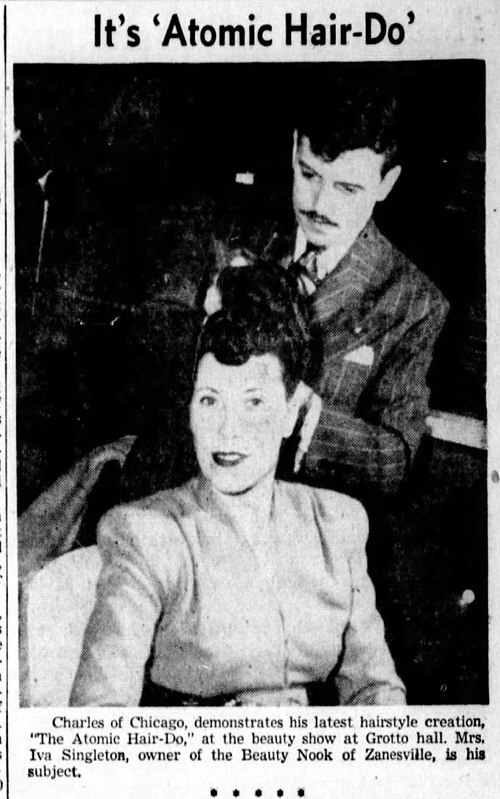 How the atomic bomb inspired hairdressers. 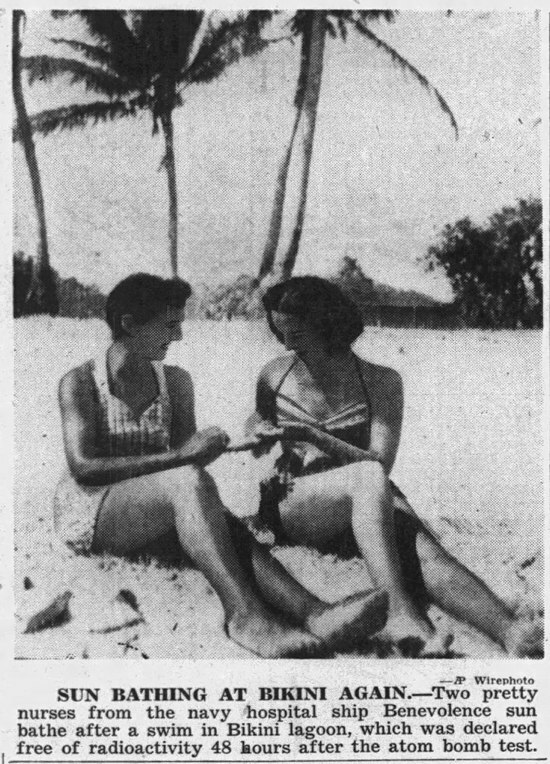 What these press agents won't think of! 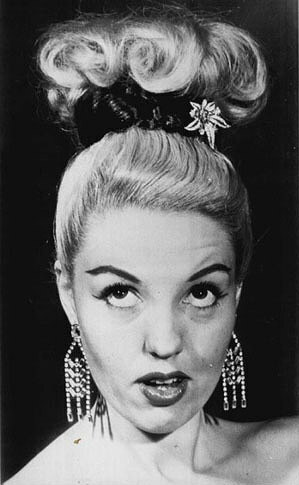 From one Las Vegas beauty salon comes this hair style, modeled by showgirl Terry True. And that big upsweep at the top is supposed to symbolize a mushroom cloud effect of a bomb explosion. The dark ring is a switch, with a jeweled clip to brighten things up. You get a killer tan, even at night. 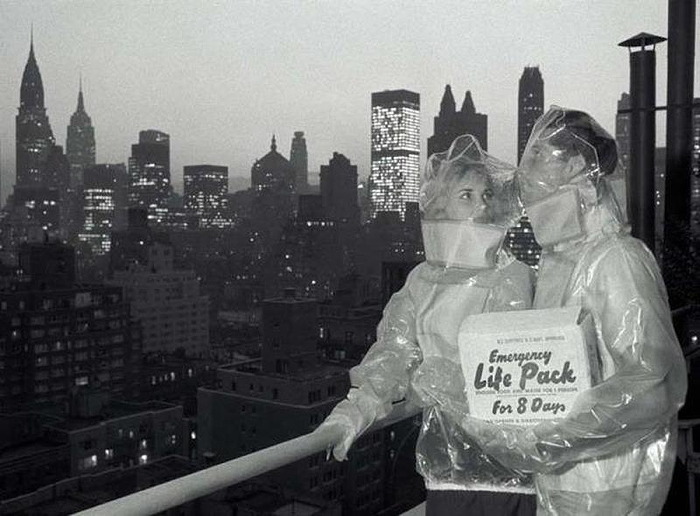 The original residents of Bikini were never able to return. 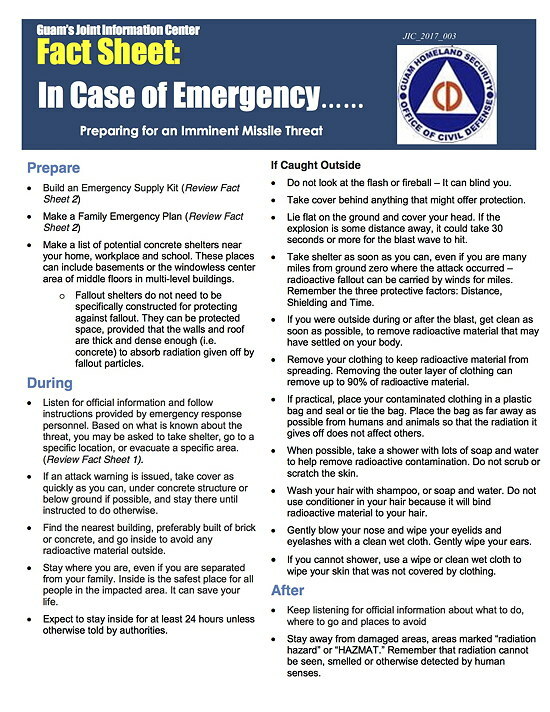 Prompted by the recent threats from North Korea, Guam's Office of Civil Defense recently issued guidelines on what people should do in the event of a nuclear emergency. It included the advice that you should wash your hair with shampoo or soap. 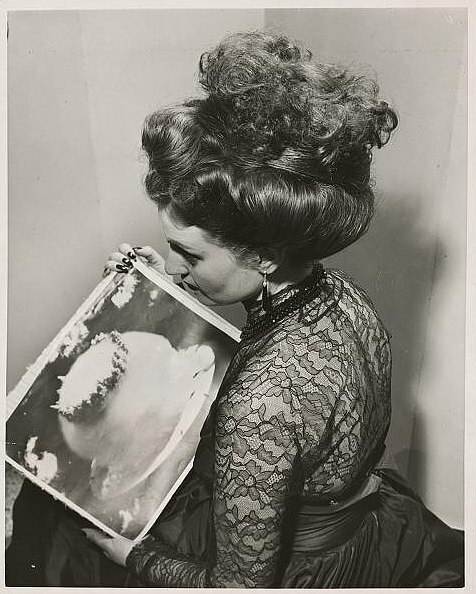 However, you shouldn't use conditioner "because it will bind radioactive material to your hair." Interesting and potentially useful to know.